Two German individuals and one major German tour operator with close cultural ties to Thailand were conferred the inaugural “Discover Amazing Stories Awards” by Her Royal Highness Princess Ubol Ratana at the International Tourism Borse (ITB 2016), the world’s largest travel show held in Berlin. The two individuals include one German chef who specialises in Thai cuisine and another German with a passion for studying Thai elephants. The tour operator is Meier’s Weltreisen, one of the country’s best known companies. The elephant is surely the animal, which people mostly associate with Thailand. Elephants have always belonged to Thai culture and can be considered as a heritage of Thai history. Elephants have always been part of the Thai identity and story. 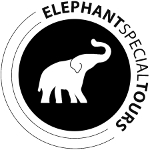 No other Westerner has better understood this connection between elephant and Thai culture and the needs of Thai elephants than Mr. Bodo Jens Förster from Elephant Special Tours. He had made it his personal mission to make this cultural link understandable to the Western world and to create a nature conformed environment for his elephants in his camp, where tourists can visit them and learn more about the Elephant Story of Thailand. Some even call him “Elefantenflüsterer” – a true ambassador of Thai elephants.